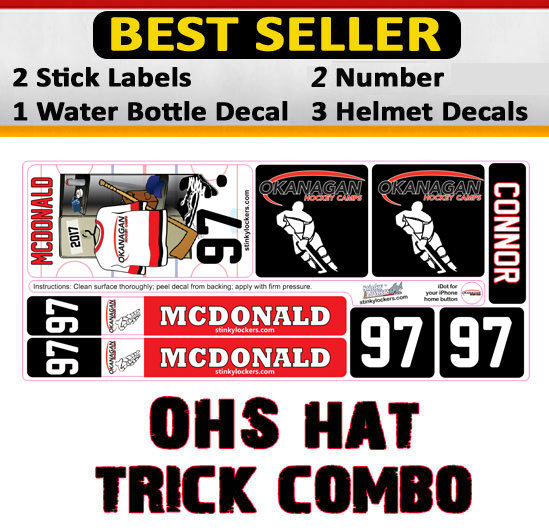 OHS Hat Trick Combo-Mail Order - Stinky Lockers Ltd.
Get your all in one OHS Hat Trick Combo. Only $ 20 for the set. This product is a mail order product. Expected delivery 7-10 days. Decals are custom design and printed on 3M Vinyl self adhesive digital print media. Each label is contour cut and laminated for durability. 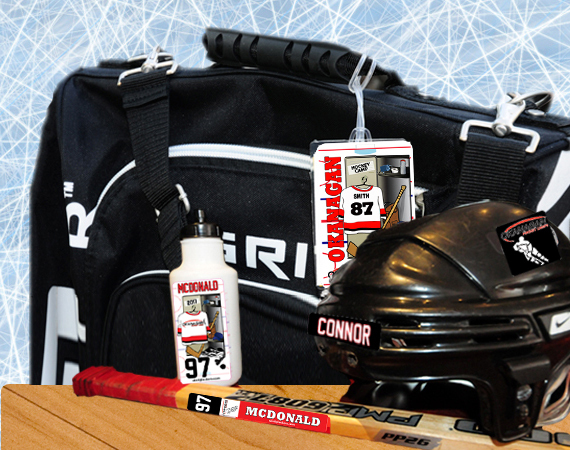 Easy step by step instructions make Big League Stick Decals easy to apply directly onto your own stick, water bottle & helmet! · Increase your rate of return! · Kids with Big League Feeling! Great Product and the kids love it! It puts that personal touch on the kids gear and makes them feel pretty special having their name on their stuff. Also makes it easier for them, and as a coach, to find their stuff. No lost water bottles. Products all worked great putting everything on and they stay on! Very happy with the sticker!